Brain Injuries. Featuring Anderson Paak. Margaret Sauer and Peter Burland - Brain Injury. Featuring music by Stevie Wonder. Pete Burland talks to Clive Johnston and Marian Stephens about Depression and Cerebral Aneurysm. 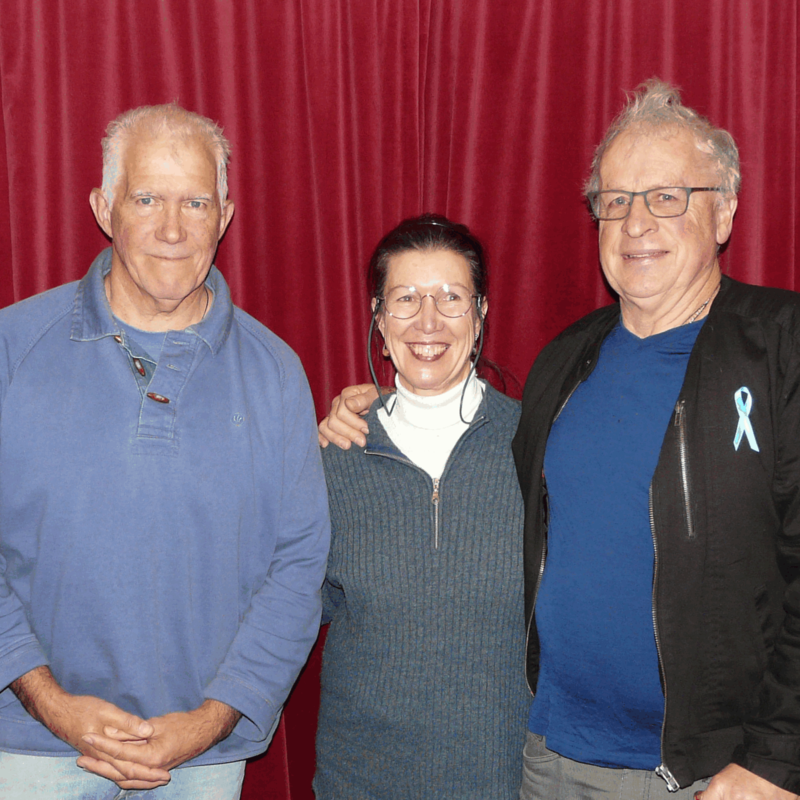 Pete Burland and Margaret Sauer talk with Alan Kissell and George Ingels about the Menzshed Waimea; featuring music by The Proclaimers. Pete Burland has a general discussion with Nil, featuring music by Fat Freddy's Drop. Pete Burland and Margaret Sauer talk to Chrissie Rose about Neurofeedback Training. Featuring music by Stevie Wonder. Pete Burland and Margaret Sauer are talking to Jill about 50 years caring for son with Brain Injury. Pete and Margaret are talking about stress while playing music by Neneh Cherry - Kong. Margaret Sauer is talking to Chrissie Rose about Brain Harmonics, while playing music by Thom Yorke and Maribou State.